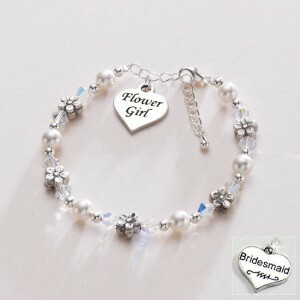 Flower Girl or Bridesmaid Heart Bracelet. Made with beautiful Swarovski Elements pearls and Tibetan silver flower beads. Size adjustable for a perfect fit! 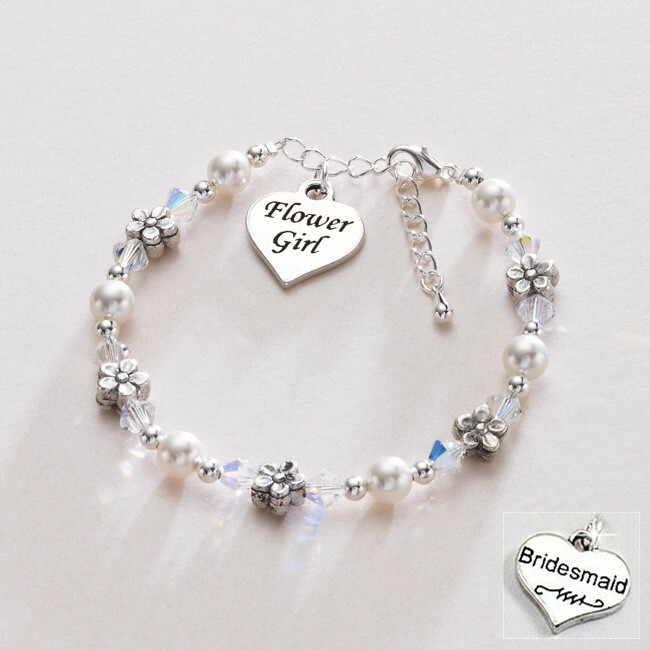 Features either a Bridesmaid or Flower Girl Heart Charm. « Beautiful Birthstone Heart Necklace with Daughter Disc Pendant.